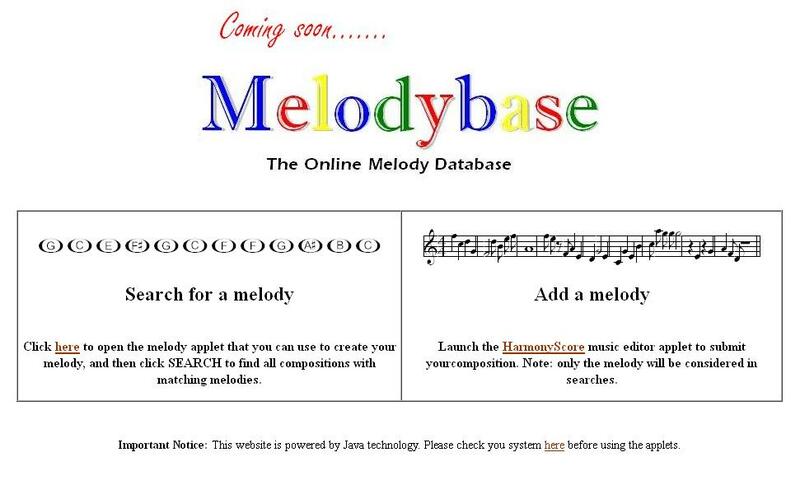 MelodyBase will be the Google of melody search. We will use HarmonyScore (the online notation editor) for public submission of melodies. We are still working on the search interface, which will be an adaptation of HarmonyPlayer. The main challenge is the creation of a vast and comprehensive database of melodies, with Google-like intelligence that prioritizes results based on the searcher's submission, as well as find approximations to the submitted melody, since searchers often remember melodies slighly differently from what they actually are.